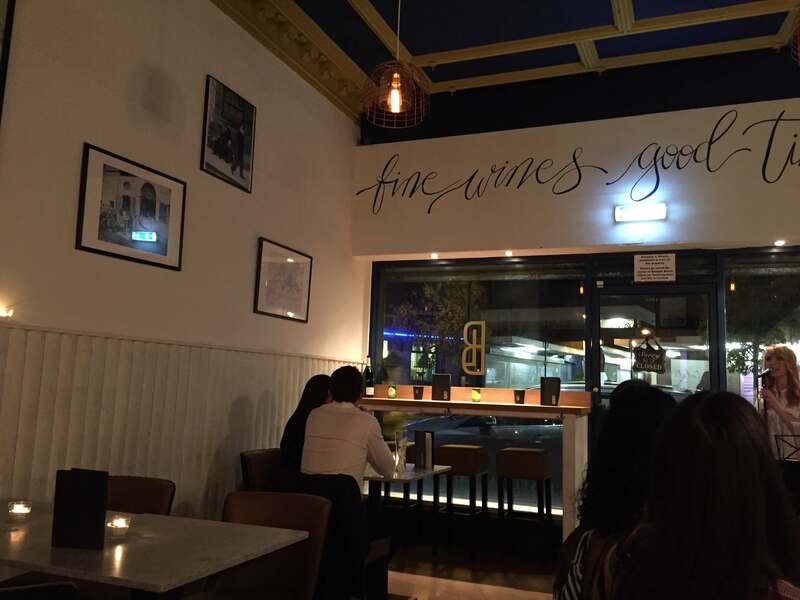 Basil & Lily Prestwich, Manchester – still growing up but good food. You might not know it yet, but Prestwich in North Manchester is about to become the Didsbury of North Manchester, the ‘Hampstead’ of Manchesters Northern community. Prestwich has a lot of history according to Wikipedia and some famous names from the past came from here. William Sturgeon (1783–1850) physicist and inventor lived in Prestwich and is buried in St Mary’s Cemetery. He created the first practical electric motor and electromagnetic solenoid. Today though restaurants are springing up all over Prestwich and with £2 million being spent on refurbishing the main road artery, I’m sure we’ve not yet seen everything that the village has to offer. But right in the heart of the village stands a new type of dining experience that offers an Italian Aperitivo Bar. The decor and atmosphere are somewhat bland for a new place. I went midweek with my wife, as I knew they had live music that evening. Something was missing … it was reasonably busy, but the menu, decor and waitress all left much to the imagination. The food deliberately understates what the customer will receive if they order one of the dishes on the menu. The waitress “bless her little cotton socks” made no effort to enthuse or sell the food to me. And yet with a reluctant sigh my wife and I placed an order. 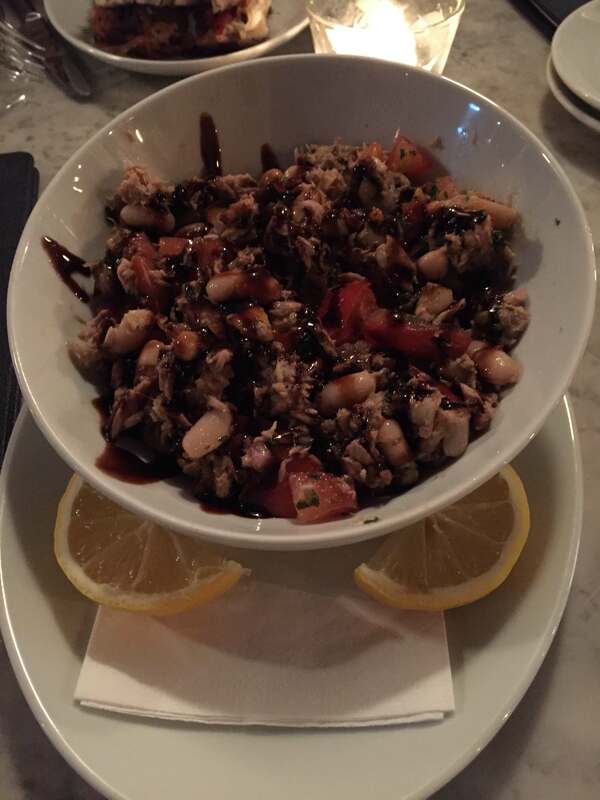 Cannellini beans marinated in olive oil and lemon with flakes of tuna and diced red onion marinated in balsamic vinegar served with fresh tomatoes and a drizzle of basil oil. Mozzarella, grilled courgettes, aubergine and sundried tomatoes with olive or sundried tomato tapenade and rocket. Remove mozzarella to make this vegan. Actually it looked and tasted better than the presentation of the menu. This was creative food, different, fresh and full of passion from the owners. The entertainment was good, but possibly placed in the wrong part of the establishment, located in the front window by the front door. IMHO being a narrow room, as it is, it would do well to place entertainment in the middle of a side wall, with clientele facing the musicians and not the front window. … just my pennies worth. This is more of a chill out place, chat with a friend over a drink than an eating establishment. It has a kind of sitting on the fence feel about it. You know.. undecided if it’s a restaurant or bar. Would I recommend it though? Well yes I would. It is what it is, just not my cup of tea .. but then Basil and Lily never invited me!